Home » Web Resources » Who is George Mountbatten? When it comes to the British Royal Family, with lineages spanning centuries and various marriages with other great European houses, it can often be hard to keep track of who’s who. This article looks at the life of George Milford Haven, the Head of the House of Mountbatten, and a second cousin of the Duke of Edinburgh. George Ivar Louis Mountbatten became the 4th Marquess of Milford Haven upon the death of his father in April 1970. He was the Earl of Medina prior to 1970. His younger brother is Lord Ivar Mountbatten. 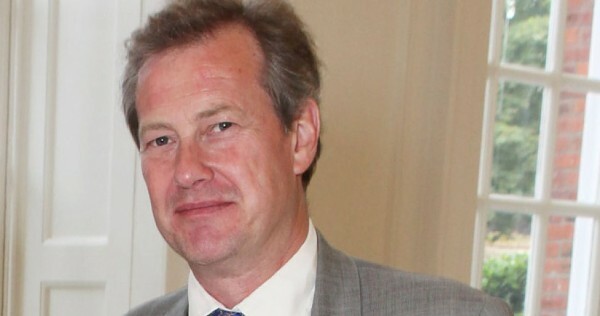 George Mountbatten is now Head of the Mountbatten house, and is part of the line of succession to the British throne because of his descent from Princess Alice, second daughter of Queen Victoria – as of 2011, George was 640th in line of succession. Interestingly, Prince Philip is placed 679th. George Mountbatten – also known as Lord Milford Haven – has been married two times. His first marriage, to Sarah Georgina Walker, lasted from 1989 until 1996. With Sarah, he had two children – Lady Tatiana Helen Georgia Mountbatten, who was born in April 1990, and Henry (Harry) David Louis Mountbatten, who was born in October 1991. Finally, he married Clare Husted Steel in August 1997 at Nantucket, Massachusetts. Steel is a polo player, who was once the social editor of the high society magazine Tatler. As his first natural born son, 25-year-old Henry Mountbatten is the heir to George’s titles. George Mountbatten has had a successful career, although, unlike his famous grandfather who was a Royal Navy Officer, his has been in the business world. In 2000, George was responsible for founding UK-based uSwitch.com – one of the first price comparison sites in the UK, a site created to help customers compare and switch their suppliers for across a number of services including energy, insurance, personal finance, and communications. He invested an initial £4 million into the venture, seeking to take advantage of the gas and electricity markets that had just been deregulated in the UK. In 2001, Milford Haven went on to buy out their competitor, buy.co.uk, followed by UpMyStreet.com in 2003.
uSwitch.com was regarded by The Times in 2007 as being one of two of the most established price comparison websites in the energy market, and one of the best ways for students to save money. George sold the company to an American media firm in March 2006 for approximately £210 million (over $400,000). It has since been bought by property website firm Zoopla, who acquired it for £160 million in 2015. In addition to his involvement with uSwitch.com, Lord Milford Haven was also a registered director for Milford Aviation Services Limited, a non-scheduled passenger air transport company with offices based in Chichester, West Sussex. George’s stay at the helm of the company was brief; he resigned as a director in 2005, although his son Henry still plays an active role as a director of the business. George Mountbatten has also been involved with several other businesses, including Great Trippetts Polo Ltd, which is currently overseen by his wife. George Mountbatten is a keen polo player and, alongside his wife, holds a charity polo match for his step-son, James Nicholas Wentworth-Stanley, a former Newcastle University student who died in 2006. The aim of the match is to raise awareness of depression and suicide among young men in particular.